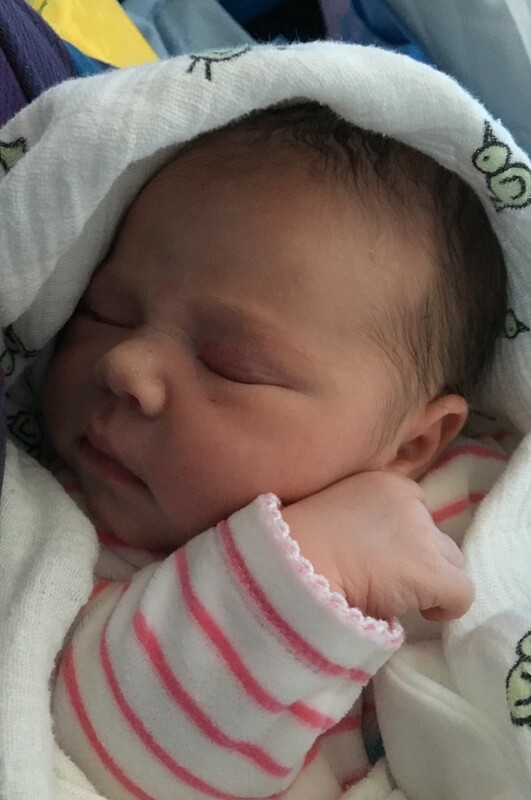 Please don’t wake my newest granddaughter who arrived on 11th April. She takes the count to double figures! Congrats to all concerned. The proud Dad will be winning The Masters next if Danny Willett’s performance is anything to go by. Best wishes to the family, Janus. Congrats – she looks a sweetie. I’d say congratulations Janus – but as far as I’m concerned the only person to be congratulated is the mother of the latest addition to your family… she did the hard work! Nonetheless, it’s nice to know you are delighted! “she did the hard work”. Without wishing to cast nasturtiums, it may well have been the surgeon performing the C-section who did the hard work. It seems to be the trend these days. My dear old Mama gave birth to 12, all natural like. I and most of siblings were born at home. Women were tougher in those days, and so were men. But I don’t mean to be mean. Best wishes to all interested parties. Thanks, Boa and Arrers! Baby’s mum definitely did the work, whatever our well-meaning African observer may aver. Luckily none of my four daughters will be having twelve children, to prove their toughness or for any other reason. Sipu – women were not necessarily tougher in ‘those days’ (and, actually, neither were men). Different times, different customs and different ideas about child-birth. Good for your Mum, but don’t judge all women by her. Check out the death rate for both women and children in the past. In the 1960s I spent five days in a hospital bed, doing absolutely nothing, after the birth of my daughters – and was discharged after 14 days. Probably (well definitely!) over-protection! In the 2000’s my granddaughter was pushed out of hospital a few days after having Caesareans – the second time nearly losing her life. While I am appalled at the speed with which she was discharged, I am very pleased that she was in hospital when she gave birth and not left to deliver at home. Janus, I wish you joy of your newest grandchild.